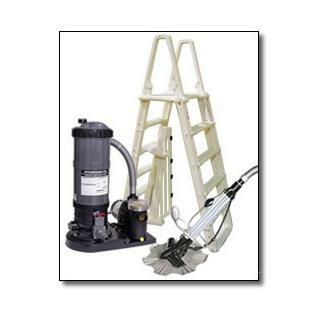 Premium Above Ground Pool Equipment Packages with Cartridge Filter System for Above Ground Pools. Complete your above ground pool with one of our pre-packaged Premium Pool Equipment Package with Cartridge Filter System. 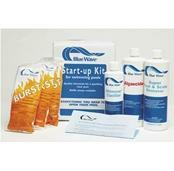 Everything you need to get your above ground pool running with crystal clear pool water. FREE SHIPPING! 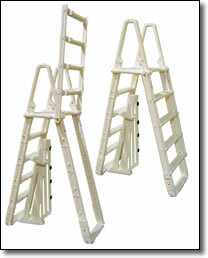 Adjustable height from 48" - 54"
Swing up outside ladder locks for safety. (Padlock not included). 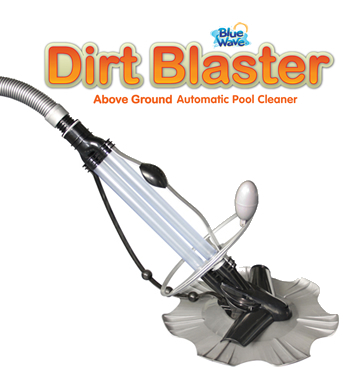 DirtBlaster™ will clean any above ground pool regardless of shape or depth. 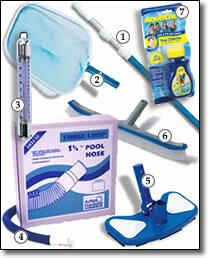 With only one moving part, it will remove dirt, twigs, leaves and debris from your pool. It will free you from the chore of vacuuming! Since there is only one moving part, DirtBlaster™ will give you years of maintenance free operation. 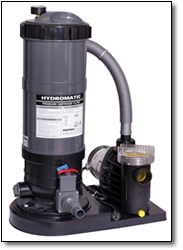 Simply plug the unit’s hose into your skimmer and DirtBlaster™ effortlessly cleans your pool. The unit is quick and easy to install and comes complete with 30’ of hose. Backed by a 1 year warranty. 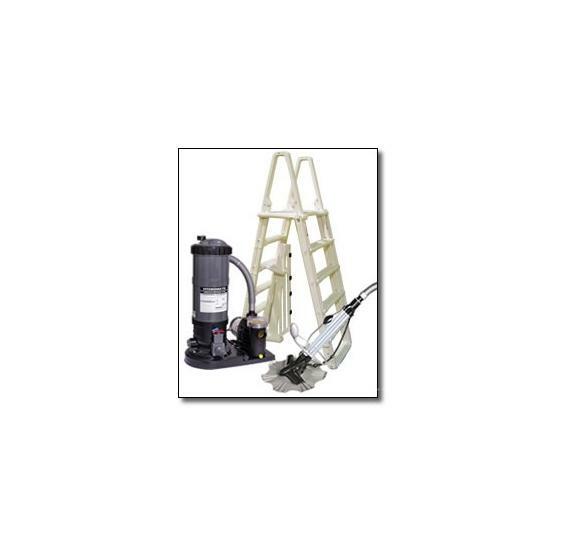 End the drudgery of vacuuming this season with DirtBlaster™ at this great price. 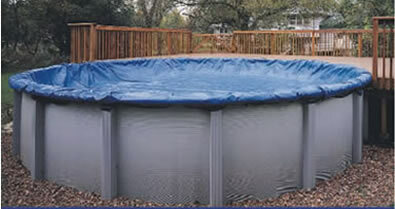 This quality winter cover features heavy duty woven polyethylene and heat sealed seams ensure that no dirt and debris enter your pool over the winter. Double-stitched seams, a vinyl-coated cable around the perimeter, and all-weather aluminum grommets with tighter ensure the cover stays put in windy conditions. Comes with a 4’ overlap and a black underside to retard algae growth. Navy 8-Year Warranty (8 x 8 inner scrim) fabric.